If there is one constant in the healthcare industry, it is that it is continuously changing. Current trends affecting healthcare organizations include the opioid crisis, healthcare pricing transparency, healthcare insurance reform measures, patient experience enhancement, the rise in Medicare advantage patients, and the use of artificial intelligence in patient care. Healthcare facilities need to improve their quality of care while also mitigating rising costs, securing sensitive patient information, and mitigating their exposure to malpractice litigation, all while maintaining a safe and secure campus for their patients and their employees. Healthcare executives are faced with myriad issues that can feel overwhelming. 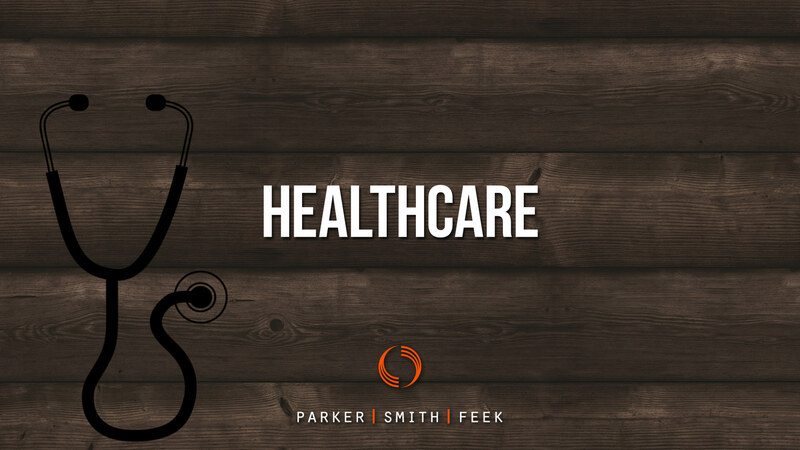 Parker, Smith & Feek’s dedicated Healthcare Practice Group has over 40 years of experience addressing risk management and insurance strategies and solutions to address all of these issues. We recognize that tackling such a wide range of challenges for so many types of clients takes a very deep bench of talented risk management and insurance professionals, and we have assembled a team of experts to serve healthcare organizations. Our Healthcare Practice Group serves a vast array of clients, including assisted living centers, clinics, community health centers, equipment manufacturers, hospices, hospitals, long term care organizations, mental health facilities, non-profits, and pharmaceutical companies. Together, this team is greater than the sum of its parts and makes up our largest benefits practice group, and the third largest overall. With their assorted set of skills, they support everything from massive university hospital campuses to small specialty clinics. The breadth of our healthcare footprint is substantial across the Pacific Northwest and Alaska, and comprises all sizes and types of clients served. For organizations that are ready to take the next step into alternative risk, we have the experience and expertise to help guide clients through the process. Whether it’s a workers’ compensation claim from a long term care facility, an individual disability insurance policy for a private family practice, or creative alternative risk financing funding structures to contain the total cost of risk for a an expanding healthcare system, our Healthcare Practice Group has the real-world experience to support healthcare organizations’ programs and operations.